Unpacked is a narrative VR game in which you play as Nadia, a recent college graduate who is left to grapple with her past and herself as she attempts to pack up her things one last time. An old friend calls, and she is forced to make a choice. How do you move forward? Unpacked is set to release for HTC Vive in Winter 2020. CyberDrive 2077 is a mobile game to be released in the spring of 2019. Set in a future dystopia, the Hacker is uploaded into the System, a sentient and hostile computer superintelligence. The Hacker rides with the mission to destroy as much of it as possible, sector by sector. Global Game Jam 2017 project and winner of the NYU Game Center location's Best Overall Game. Created over the course of 48 hours with a small team assembled on location. 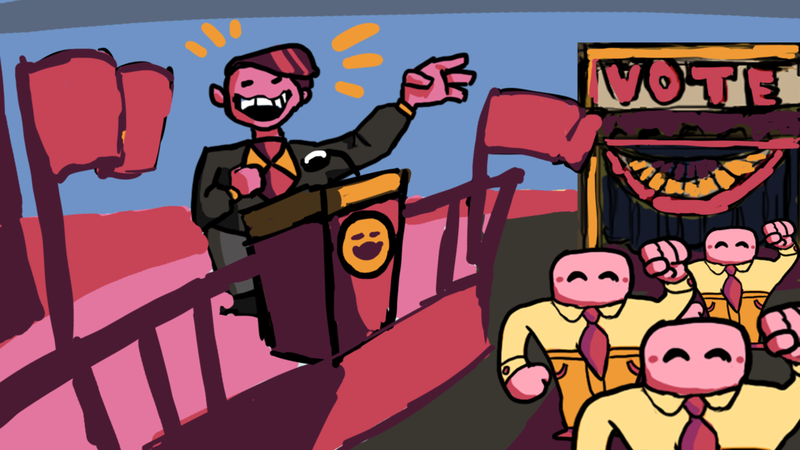 Pave your way to the presidency as a conniving politician, swaying hordes of protesters and supporters in the final hours before the polls close.